In an unspecified setting, the stream-of-consciousness narrative of this cult novel traces the fortunes of a group of anarchists in revolt against a military-fascist capitalist opposition. The protagonist is photojournalist Chris, whose camera lens becomes the device through which the plot is cleverly unravelled. In Dambudzo Marechera's second experimental novel, he parodies African nationalist and racial identifications as part of an argument that notions of an 'essential African identity' were often invoked to authorise a number of totalitarian regimes across Africa. 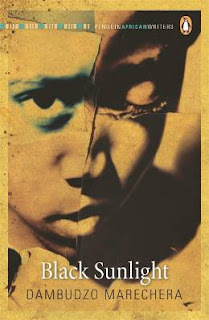 Such irreverent, avant-garde literature was criticised upon publication in Zimbabwe in 1980, and Black Sunlight was banned on charges of 'Euromodernism' and as a challenge to the concept of nation-building in the newly independent country. Dambudzo Marechera (1952-1987), an award-winning Zimbabwean author and poet, has been dismissed by some as mad and applauded by others as a genius. Famous for his unconventional life as much as for his work, more than 20 years after his death Marechera's work continues to inspire academic studies, biographies, films and plays.